The graphs below are compiled by Carel Bezuidenhout of Scion. It is a collective view from over sixty participants within New Zealand’s supply chain. 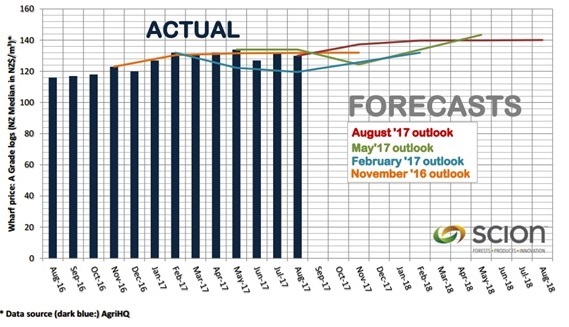 It is a quarterly outlook which runs in February, May, August and November. 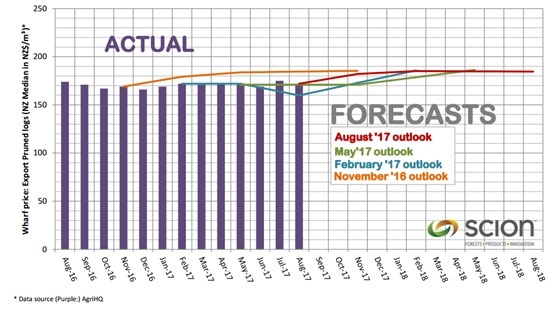 The average prediction is for increased log prices over the next 12 months.